Thinking of Seeking Work Through a Nursing Home Agency? Questions to Ask and How to Ask Them! It’s time for a new phase of your nursing career, and that phase is working as a travel nurse. Depending on your experience and areas of expertise, you could become in high demand through the right agency. 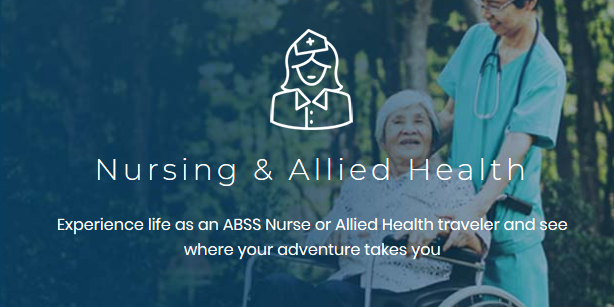 A key aspect of signing with the right travel nursing company involves seeking information in a way that demonstrates why you are such a prime candidate. Here are a few tips that will help you know what information to gather and how to go about asking for it. One of the reasons you have chosen to work as a travel nurse is to utilize your skills in a new setting. It makes sense that you would want to find out where those opportunities happen to be. The thing is that your question needs to be more specific rather than broad. For example, this type of question really won’t help you or the recruiter a great deal: “what jobs are currently available?” At any one time, most reputable agencies will have a number of nursing assignments in many different locations. Even if you’ve created a comprehensive profile with the agency, there’s a good chance that you included several different locations that are of interest. Where will the recruiter begin to answer the question? Remember that agencies typically receive requests for nurses that need to be filled as soon as possible. A travel nurse who has specifically indicated interest in ER work in a city in a specific state is likely to be on the short list to fill such a position. In three days or less, you could be on your way to a six-month assignment that’s exactly the type of nursing position you want. Your first tip is to avoid broad questions. Go with something more along the lines of “Do you have open positions in city/state that need to be filled quickly? Do any of those positions happen to be in my preferred areas of expertise? Which hospitals in city/state are offering those positions?” By starting with more focused questions, you help the recruiter narrow the search and could come up with a match that makes everyone happy. There is no such thing as one agency that has a complete monopoly over a given city or state. Depending on how many areas of nursing you are open to exploring, it’s more likely that you will need to sign up with more than one agency. That’s because some will focus mainly on specific types of nursing work. Perhaps private duty assignments with people completing recoveries at home is one area that you like. Maybe you love working with the elderly and prefer that type of private duty work. If those don’t appeal to you, perhaps working in a critical care facility or a maternity ward is what you prefer. In order to cover your bases both in terms of facilities and potential openings, it pays to know which company works with what facility. 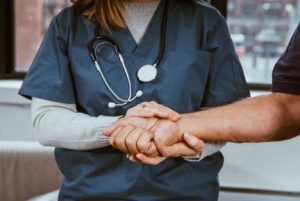 Since you’ve already asked about traveling nurse jobs in specific cities or states and know that some of them are in line with the type of nursing you want to pursue, now is the time to narrow the focus a little more. Ask which hospitals or other facilities are currently under contract with the agency. This will help you know if it’s a facility with a favorable reputation, or if the agency’s contracts are with facilities you would rather avoid if possible. There’s a good chance that by signing up with two or three other agencies who also cover the area, they may have interesting assignments in a facility where you would like to work. Remember that the short answer will likely be something along the lines of “we provide nurses to facilities all over the city/state.” It may be necessary to press a little more for the information you need. If the responses continue to be vague, take that as a sign to talk with another agency. Of course you are interested in making a reasonable living from your work. The thing is that you don’t want to lead off with questions about how much you will make with a given assignment. Since the compensation packages can be structured in so many ways, it’s important to dig a little deeper. After determining there is one or more assignments in a location and facility that’s of interest, do ask questions that help you understand what sort of compensation to expect. You want to keep it practical and ensure that all the essentials are plainly understood. A good place to begin is inquiring about things like housing. Will the client provide living facilities for the duration of the assignment? Will the housing be an extended stay facility or an apartment, or a private bedroom on the facility campus? If no, will there be some type of stipend or allowance to help you manage the costs of securing housing? Be specific about medical benefits or the lack thereof. Will all or a portion of your medical benefits be paid by the client while you are working there? Do the medical benefits include health, dental, and vision? You also want to see a schedule for deductibles and copays, plus any other out of pocket expenses that you would have to cover above and beyond the coverage. That includes annual limits on certain procedures or treatments. Once you know what benefits come with the position, it’s time to approach the rate of pay. Determine if it will be a fixed amount or if you will receive compensation for working over a certain number of hours each week. If it’s an hourly rate, when does the overtime rate kick in? You also want to know if taxes will be withheld by the agency or if you will be responsible for calculating and remitting the taxes yourself. Remember that what may seem the better offer on the surface could be less competitive with other offers. Gather your data, take a look at the overall compensation package, including how well the position fits in with your career goals. Be patient if the recruiter does not have all the answers on hand at first. An honest one will admit that and promise to get an answer within a day or two. At that point, you can revisit the evaluation and decide if the position and the agency is a good fit.